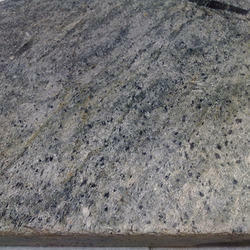 We are leading manufacture, trader, exporter of Gray White Quartzite Stones. - Durability: Looking for toughness and stability in your construction project then Quartzite is the material that you require. We are an acclaimed name engaged in offering our precious clients a superior quality range of Natural Quartzite Tiles. The offered Quartzite Tiles are processed from the advance techniques & machines for giving finishing. This stone has appearance of a red wine color with quartzite grains giving lustrous finish on the surface. We are the leading quartzite stone producer in India and quartzite Exporter in India, one of them is Shimla White Quartzite from India, producing Exporting Shimla White quartzite slabs, Shimla White quartzite tiles & cut-to-size. Largest Natural Stone Exporter in India, exports slate slabs and slate Tiles. Surface Finish: Polished,Leather,Honed,Flamed,Antique,bush hammered,Flamed & brush etc.